LAHORE: Pakistan Muslim League-Nawaz (PML-N) President Shehbaz Sharif presented his party’s manifesto for the upcoming general elections here in Lahore on Thursday, ARY News reported. The PML-N president, whose party ruled the country for last five years, said that the PML-N government steered the country out of energy crisis and provided better roads, public transport and infrastructure, and if elected to power again, will resolve the water crisis. The former chief minister Punjab, who rose to his party’s presidency after his elder brother’s disqualification, maintained that the party has a clear plan as it ruled the country and will now focus on betterment of health facilities, water reservoirs and reduction of poverty. “Water is the greatest challenge we are facing. There is no use of crying over spilt milk. By constructing dams on water that is our share, India has flouted all laws and treaties which intensified the water challenge for us. We have to act & act fast to overcome this existential threat,” said Shehbaz Sharif. “Diamer Basha dam is a matter of life and death. It will not only meet our water needs but also trap flash floods & provide a longevity to Tarbela & Mangla dams. Even if I have to ask for donation for the dam, I will do that. 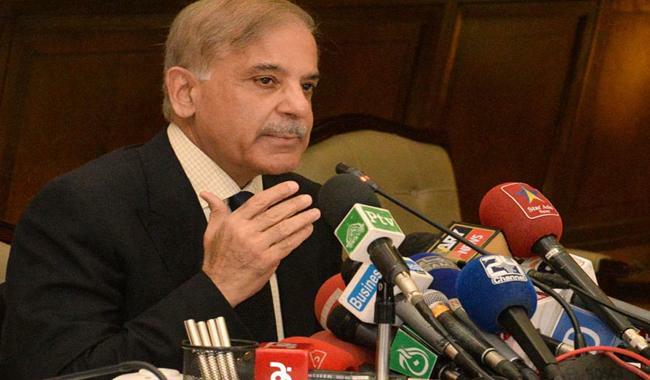 Almost 70% of work on the project will be completed in 5 years,” said Shehbaz Sharif. About the health sector, he said that health reforms introduced by PML-N in Punjab are path-breaking. Latest machinery such as MRI, dialysis, & CT scan machines were installed & drug testing, forensic & pathology labs were set up, adding that Every DHQ hospital in Punjab has hepatitis filter clinic.